NEW! Black Canyon City Apartment w/Patio & Grill! 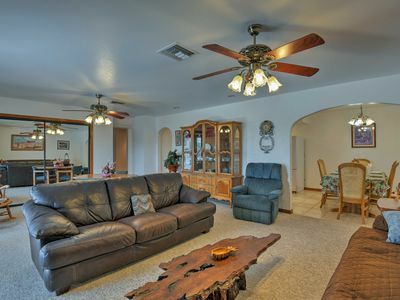 Book an unforgettable Arizona getaway to this lavish 2-bedroom, 2-bathroom vacation rental apartment in Black Canyon City. 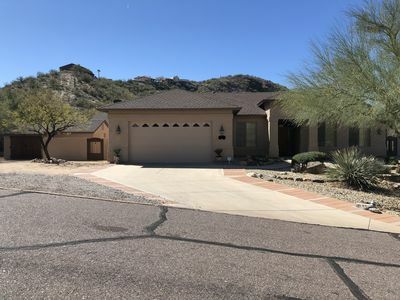 Located near several golf courses, desert adventure companies, and more, this spacious home for 3 offers access to the very best of the Valley of the Sun. This home also boasts a furnished patio and a plethora of high-end amenities. After a day in the southwestern sun, retreat into the living room and melt into the leather couch. As you watch the Arizona Cardinals game on the flat-screen Smart TV you'll be bathed in natural light through the glass doors. Thanks to the apartment's fully equipped kitchen, you'll be able to cook like an Iron Chef! Your friends are sure to be impressed by the 5-star fare you prepared with the state-of-the-art appliances. Be sure to spend some time on the furnished patio during your stay. With a table for 2, gas grill, and awe-inspiring mountain views, the patio is the perfect place to enjoy a relaxing evening under the desert stars. As your little one drifts to sleep in their cozy twin bed, take a cleansing rinse in one of the shower/tub combos and head to bed. The master bedroom, complete with a queen bed and large dresser, will lull you right to sleep. Book a high-octane day trip to the desert during your stay! 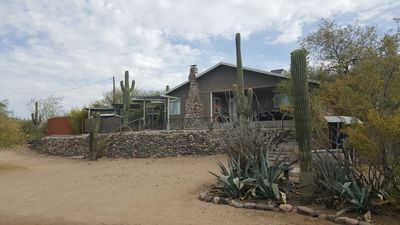 Whether you choose to ride an ATV, a horse, or a jeep, companies like Arizona Outdoor Fun offer a unique way to explore the desert scenery and learn the history of the area. The greater Phoenix area is one of the nation's most popular golf destinations, making it easy to channel your inner Tiger Woods. In the area, you'll find acclaimed golf courses like Boulder Golf Club, Capital Canyon Golf Club, and more! You'll also be able to attend the many PGA tournaments that take place at Scottsdale golf courses like Troon North. Be sure to explore Phoenix during your stay! This culturally rich Southwestern city offers delicious dining, several professional sports venues, and unique attractions that are fun for the whole family. 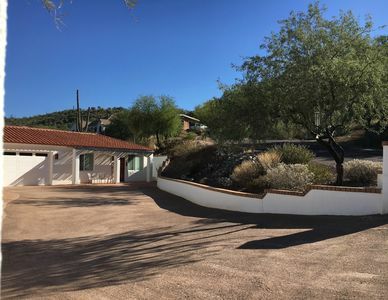 - Amenities include a fully equipped kitchen, flat-screen Smart TV, furnished patio, gas grill, mountain views, free WiFi, state-of-the-art appliances, in-unit laundry machines, garage parking for 1 vehicle, driveway parking for 2 vehicles, and more! 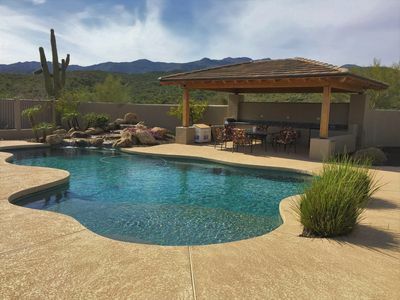 Your Desert Oasis for an unforgettable Arizona vacation! Gateway to Amazing Arizona, less than a day's drive to anywhere in Arizona.